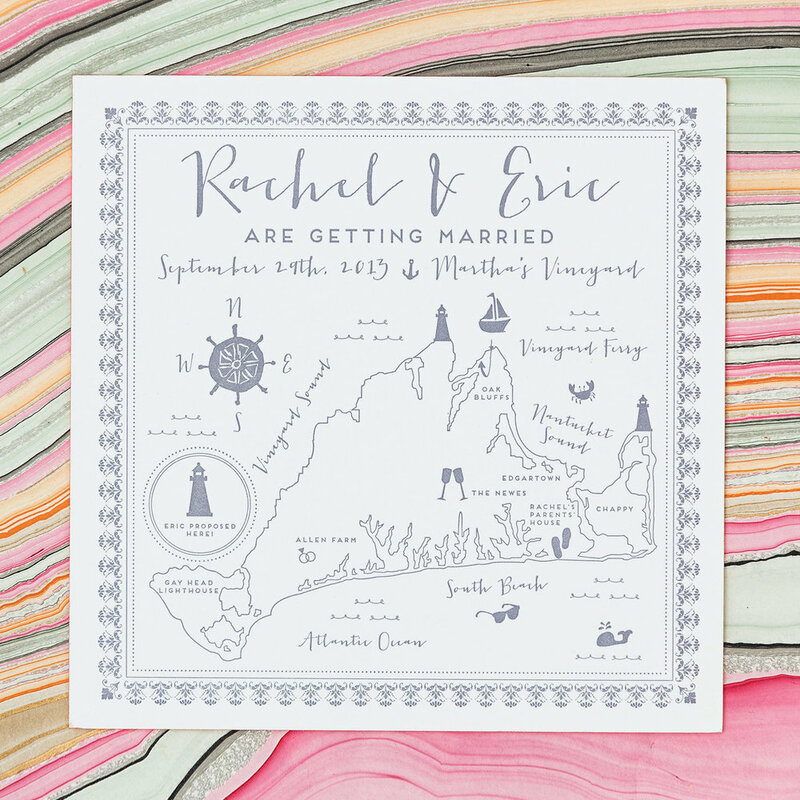 Rachel and Eric had a Autumn wedding planned on Martha's Vineyard, a special place to both. The bride grew up spending summers there with her family, and the groom proposed there, by a lighthouse. 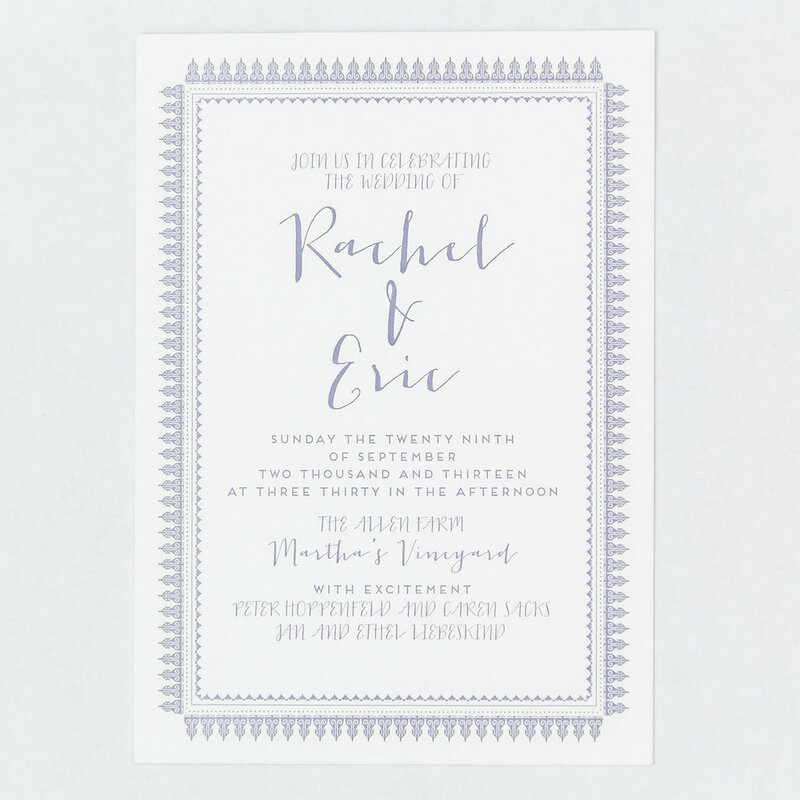 For their wedding suite, the inspiration came equally from pattern design and the place itself. The color palette inspired by the sea, and by the wildflowers that bloom on the island that time of year. 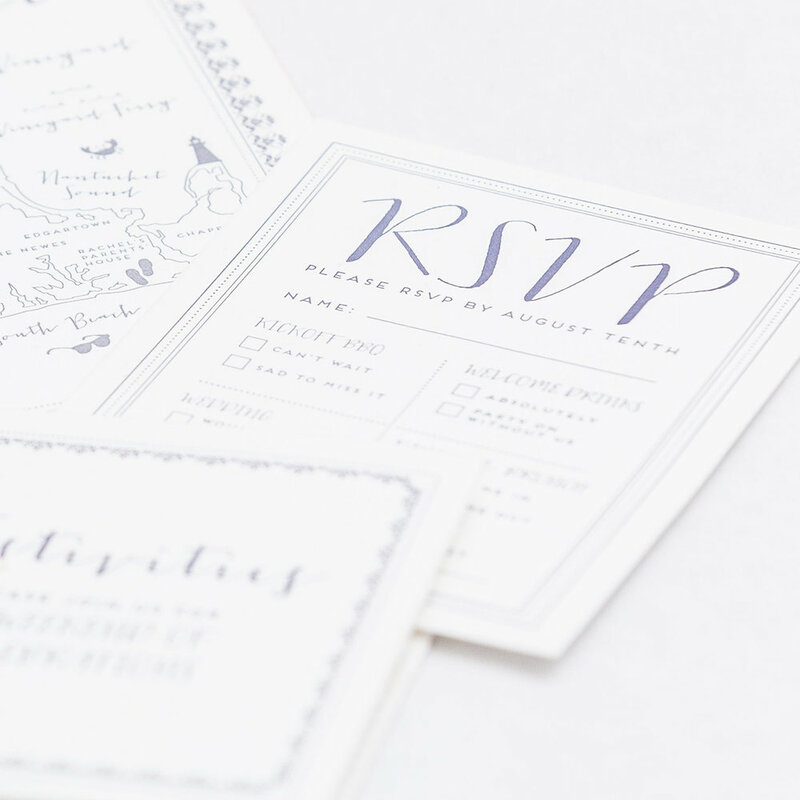 The wedding stationary consists of four distinct pieces; the Save the Date, the invitation, the RSVP card, and an accordion-fold festivities timeline for the weekend-long celebration. Design elements included custom illustration, typography, and map design. To read more about Rachel and Eric's wedding, check out the lovely piece Style Me Pretty did on them. Photography credits: Wedding photography by Our Labor Of Love , and Adrian Cabrero shot the wedding suite I designed and illustrated.